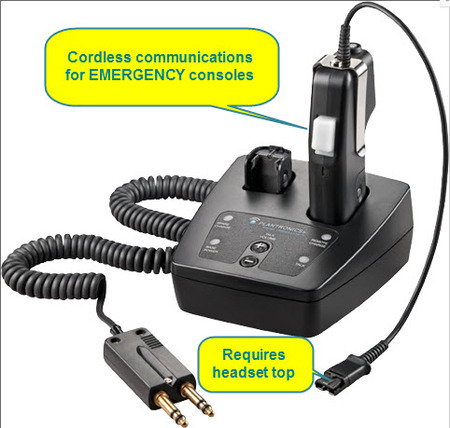 The CA12CD (also known as SHS 2905-01 DECT PTT Wireless Dispatcher system) is a cordless PTT (push-to-talk) headset adapter designed to provide encrypted communications and PTT functionality for applications such as Public Safety Despatch and Air Traffic Control. Here is the Plantronics CA12CD brochure. The CA12CD User Guide can be found here.